Have you ever thought about the various survival uses for PVC pipe? If you haven’t, I would strongly recommend that you continue reading this article. I’m about to describe to you 11 different ways that you can use PVC pipe effectively in a survival situation. Not only is PVC pipe a valuable and incredibly versatile survival tool, but it’s also super affordable. 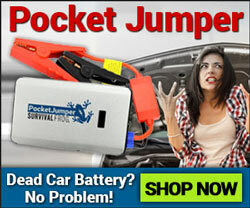 It can be found in different hardware stores, home improvement shops and even junkyards all across the nation. 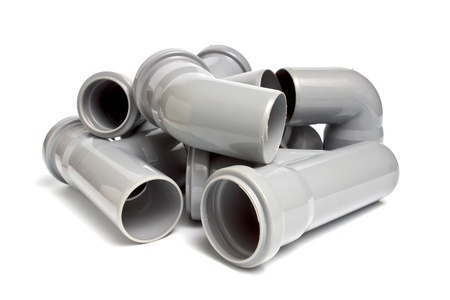 You can also come across it by borrowing it from a friend; PVC is so common that they likely won’t have an issue selling it to you, or letting you have it for free. This is probably one of the coolest and most useful applications; using just a piece of PVC pipe and a few other materials, you can create a deadly weapon for under $3. The best part is you can create everything you need right now (while life is still good), and you’re set to thrive in a crisis when you need it. Note: We actually have a pretty cool blog post with some tips on making a PVC blowgun. Read it here. Think it’s all too good to be true? Check out the video below for details. This is a pretty cool two-fold survival use; for one, you can take a small PVC pipe and push a cork a few inches inside. Then, place your hooks, bait, etc. inside the pipe and place a cap on the other end to prevent water from getting in. Now you’ve got a storage space for your fishing tools (this will be the handle of your rod). Second, on the opposite end of the pipe you can drill holes to wrap a fishing line to when you’re not using the storage compartment. Note: Scroll to the bottom to see an AWESOME alternative to this! You can easily pour water into a large piece of PVC pipe and cap it shut for long trips. When you get thirsty it’s a great storage tool to have with you. You can also attach paracord to the top, and use the pipe to make a bucket. Note: PVC pipe manufactured after 1977 has been deemed safe to drink water from without fear of plastic/chemicals leaching into the water. 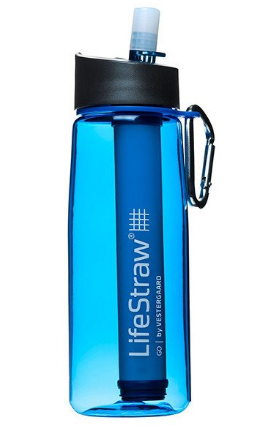 Or, if you want to cut to the chase and store/filter your water in one fell swoop, get this incredible LifeStraw filtering water bottle instead. See it here. You can cut PVC into small pieces that can fit in your bug out bag, pocket or around your neck. Attach a cap to both sides, and fill it with your small pieces of survival gear, such as tinder, fishing line, knife, dental floss, etc. Or, if you want a more convenient storage option, scroll to the bottom! Cap off and fill up one end of a PVC pipe with cement, and then cap off the other end; you’ve now got a weapon to bludgeon enemies with if SHTF. You can also cut/file the pipe at an angle into a sharp point in order to stab/hunt with. 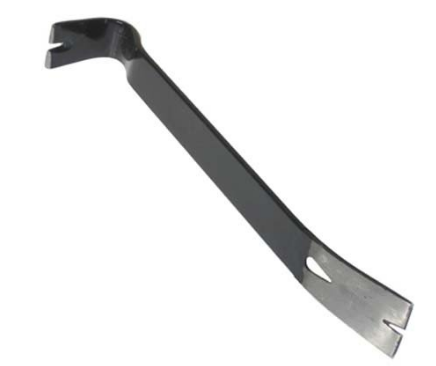 Or, if you’d rather not deal with cement, you can opt for a different lightweight, effective weapon that packs a punch and also has a variety of other survival uses with this 15″ crowbar. You can cut/file the end of a PVC pipe into a sharp point in order to use it as a makeshift shovel. You can also use this tool to lift up edible plants from the ground. 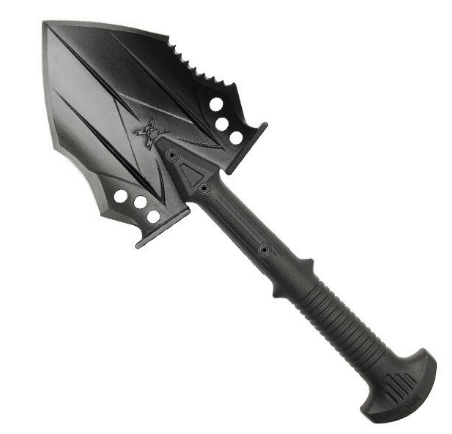 If that’s not your style, you can always go for this tactical survival shovel instead – built for self-defense, as well as for wilderness survival! See it here. You can drill a hole near the top of a large piece of PVC, and then take a long chain and extend one end into the pipe through the hole. Fill the pipe 2/3 full with concrete, and cap, leaving the remaining chain dangling outside the pipe. You now have a DIY anchor. Cap one end of a long piece of PVC pipe, and then store your arrows for your longbow in it (see #10). You can also drill holes into the end of the pipe, attach some paracord through it and then tie it around your torso to create a harness. You can tie a few strands of paracord to the ends of a piece or two of PVC, so they form a giant U in the middle. Then, set pieces of wood on top of the paracord – you can now carry the wood back to camp more easily than you might have underneath your arm. 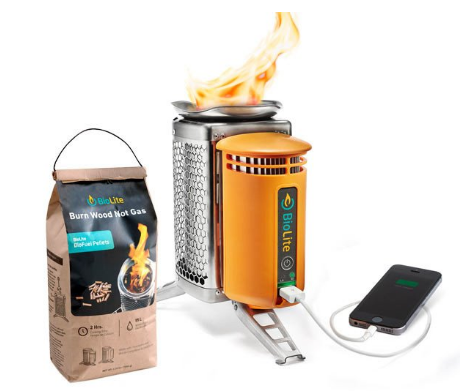 Note: If you haven’t got wood around you, but still need to cook your survival food, you can use this amazing BioLite CampStove. 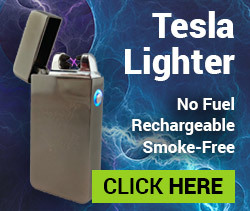 Charges your cell phone/other USB devices, and also comes with FREE clean burning biofuel pellets! Check out this fantastic survival combination here. Take an elbow (or “L-shaped”) piece of PVC and insert a small mirror, at an angle, inside (mirror should be facing you). Now insert a long piece of PVC into the bottom of the elbow piece – you’ve just built yourself a periscope to spy on others with. PVC pipe is excellent for storing survival essentials such as tinder, fishing equipment, etc. when bugging out (as seen in survival use #2). 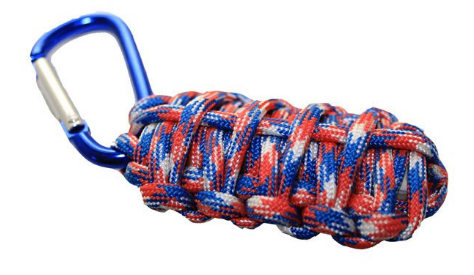 It’s durable and sturdy, making it an excellent survival tool. However, my only issues with PVC are that it’s big and bulky, and that it’s also kind of a pain to cut if you don’t have the right equipment (especially when in a crisis). That’s why I absolutely love our Paracord Grenade Kits – not only do you get 9 feet of 550 lb. 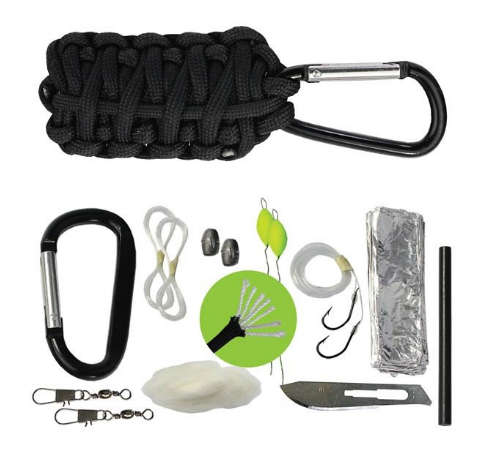 paracord, but that paracord is actually wrapped around 14 pieces of extra survival gear! 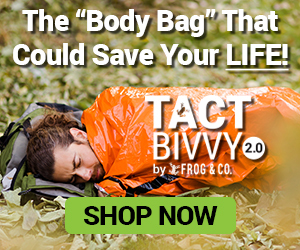 Inside you’ll find valuable survival tools such as a knife blade, fire starter, tinder, fishing hooks, and more in order to help you thrive in an emergency. The best part is, as opposed to PVC, these survival tools fit snugly in the paracord grenade, which attaches to a carabiner. You can attach this kit to your bug out bag or to your keychain, and you’ll be ready for survival. You get your choice of different styles: Traditional Black or Patriotic Red, White and Blue; both equally stylish, both equipped with the same life-saving survival gear. Right now we happen to be having a KILLER deal on these grenade kits – we’re selling them (practically giving them away) for 67-69% OFF! Which means you’ll need to act FAST in order to take advantage of the amazing savings before we sell out! Click on the images below to grab your favorite paracord grenade before we run out of stock! This entry was posted in Camping, Cold Weather Survival, Emergency Survival, Family Survival, Hot Weather Survival, Outdoor Survival, Prepping, Self Defense, SHTF, Survival Basics, Survival Hacks, Survival Skills, Videos and tagged alternative weapons, bug out, bug out bag, bug out bag essentials, DIY, DIY Survival, diy survival tools, hunting, paracord, prepper hacks, survival, what to put in a bug out bag on July 6, 2016 by Survival Frog.